Wisdom Fresh Effect Mint Burst Expanding Floss is the traditional method of cleaning between teeth and along the gum line and is ideal for smaller gaps between teeth. 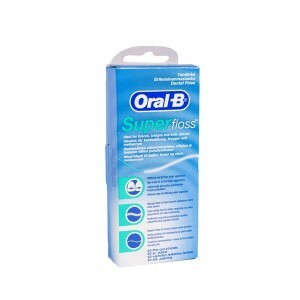 Using Fresh Effect Floss gives an incredible mint burst experience and expands to a soft fluffy thread that fills the gaps between the teeth for an exceptional clean. Dentists recommend that flossing should be used as part of your daily dental care regime. Ideal for larger spaces. Fantastic clean and fresh feeling.